I bought VOCALOID5, but I can't find the serial codes for each Voicebank. 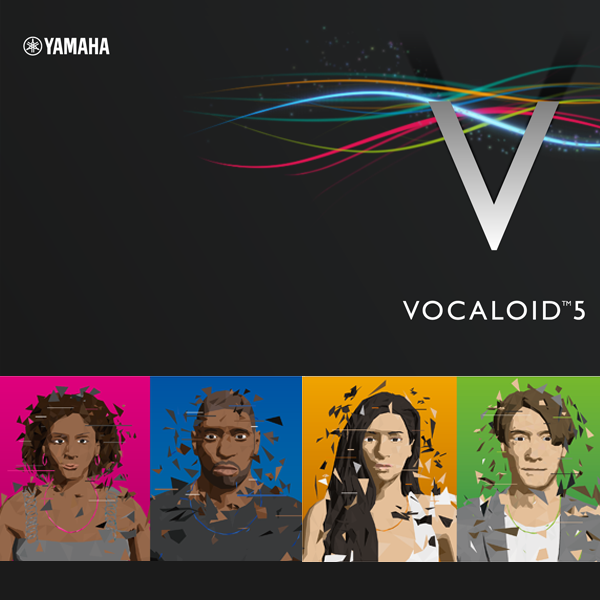 There is no individual serial code in the Voice (Amy, Chris, Kaori, Ken) attached to VOCALOID5. After installing all the voices, execute authorization using the serial code of VOCALOID5 Editor. Then Amy, Chris, Kaori, Ken will be authorized. On the other hand, CYBER DIVA II, CYBER SONGMAN II, VY1, VY2 included in "VOCALOID5 Premium", those are necessary to execute authorization using individual serial codes distributed at the time of purchase. I have VY1V4, VY2V3, CYBER DIVA/SONGMAN . Should I get VY1, VY2, CYBER DIVA/SONGMAN II too? The ADD-ON Voicebank (CYBER DIVA II, CYBER SONGMAN II, VY 1, VY 2) attached to VOCALOID5 PREMIUM has been adjusted for VOCALOID5. However, there are no major differences in the sounds. You can use the previous version as it is. Please note that there is no upgrade sale from the old version (CYBER DIVA etc.) to the new version (CYBER DIVA II etc.). Can I use VOCALOID5 on a 32-bit OS computer? No, only available for 64-bit environment. When I try to authorize the software, a message appears indicating that the connection to the network has failed and I cannot activate the software. I have already made sure that I have Internet access. Please confirm the items below. (1) Please confirm connection of the internet. Please confirm internet connection of your computer. (2) It may need setting of proxy server depending on internet provider. In that case, it may be able to perform activation if set the proxy server. (3) Please confirm if the time of OS is setting correctly. (4) On Control Panel- Network and Internet- Internet Option- Detail setting, please confirm if check mark is put on "Use TLS 1.0" If check mark is not put, put it and click "OK" , then restart computer. (5) The authorization server may be crowded. In that case, wait for a while and perform the operation again. I have an older version of a VOCALOID product. Can I use the product in VOCALOID5 Editor? Yes. Voicebank of VOCALOID3 and VOCALOID4 is available on VOCALOID5. Also, there are no settings required for loading these Voicebanks with VOCALOID 5 Editor. When the old version Voicebanks is installed, VOCALOID5 Editor automatically loads them at startup and they are displayed in the "Voice" column of "lower zone" in the editor screen. View a list of frequently asked questions for this category. Is Tiny VOCALOID4 Editor included with a VOCALOID4 Voice Bank? No. It is not included with the Voice Bank. Can VOCALOID4 Editor be used as a standalone product? I own a Macintosh. Can the editor be launched in a virtual environment like "Bootcamp"? We can't guarantee normal performance in a virtual environment, because VOCALOID4 Editor is designed for Windows. I have an older version of a VOCALOID product. Can I use the product in VOCALOID4 Editor? Can VOCALOID4 Editor for Cubase be launched without Cubase? No. Please install the supported Cubase product prior to using VOCALOID4 Editor for Cubase. Can the software read files created with a previous version of VOCALOID? The software can read cpr files created in VOCALOID Editor for Cubase or VOCALOID Editor for Cubase NEO. The software can read vsqx files created in VOCALOID3 and VOCALOID4. It can also read vsq files created in VOCALOID2. It cannot read VOCALOID MIDI files created in VOCALOID1. Can I use VOCALOID2 Voice Banks and vsq files created with VOCALOID2 Editor in VOCALOID4 Editor for Cubase? You can use VOCALOID2 Voice Banks for which Library Import has been completed. (Support for Library Import has ended in March 2016. Thank you for using this service.) ×: Not compatible. ▲: VOCALOID2 Voice Banks for which "Library Import" has been completed are compatible. (Support for "Library Import" has ended in March 2016. Thank you for using this service.) △: VOCALOID3 Voice Banks for Mac are compatible. ○: Compatible. Also, you can use vsq files in VOCALOID4 Editor for Cubase even if a VOCALOID2 Voice Bank is not installed. I have a VOCALOID1 product. Can I use it in VOCALOID4 Editor for Cubase? No. VOCALOID4 Editor for Cubase does not support VOCALOID1 products, and therefore you cannot use them. I have a VOCALOID1 product, can I use it on VOCALOID3 Editor? Unfortunately, VOCALOID3 Editor does not support VOCALOID1 products (older products released before the year of 2006). What is the difference between Tiny VOCALOID3 Editor and VOCALOID3 Editor? Tiny VOCALOID3 Editor, which is often included in a Voice Bank, has limitations (for example, there can only be seventeen measurements). I use a Mac. Can I run VOCALOID3 Editor in Bootcamp or a virtual environment? Normal operation of VOCALOID3 Editor is not guaranteed in Bootcamp or a virtual environment. VOCALOID3™ Editor is for Windows. It might not run normally in Bootcamp, a virtual environment, or compatibility layer software. I currently own VOCALOID3 Editor, and I don't need Tiny VOCALOID3 Editor installed with a Voice Bank. Can I uninstall it? By the default, you can't technically uninstall it, and the software will not operate normally when it is manually deleted from the installed folder, so please do not try to do so. The message "VOCALOID3 is already Running" appears and the application will not start. VOCALOID3 Editor might already be running. Press the Alt + Tab keys to switch between tasks and check if VOCALOID3 Editor is running. Also, if you were using a multi-display environment previously, the Editor screen might not appear (might be off screen) even if you select VOCALOID3 Editor by switching tasks. In that case, you might be able to find the Editor screen if you select VOCALOID3 Editor by switching tasks, and then press the Alt + space keys, select "Move" from the menu that appears, and use the cursor keys on the keyboard to move the Editor screen. Can I purchase VOCALOID products other than those from Yamaha in the VOCALOID SHOP? Yes. You can also purchase products from our partner companies. We plan on expanding our product lineup in the future, including the products available from our partner companies. Click here to see what products are currently available. Where can I download the product I purchased? You can download your product from the following download page: /en/support/download/dlcode_check You need a download code to download your product. The download code is provided in the Transaction Completed e-mail you received. After you download the installer, save it on your computer for future use. Where can I make inquiries about VOCALOID2 and VOCALOID (1) products? Please inquire with the distributors where these products are sold.